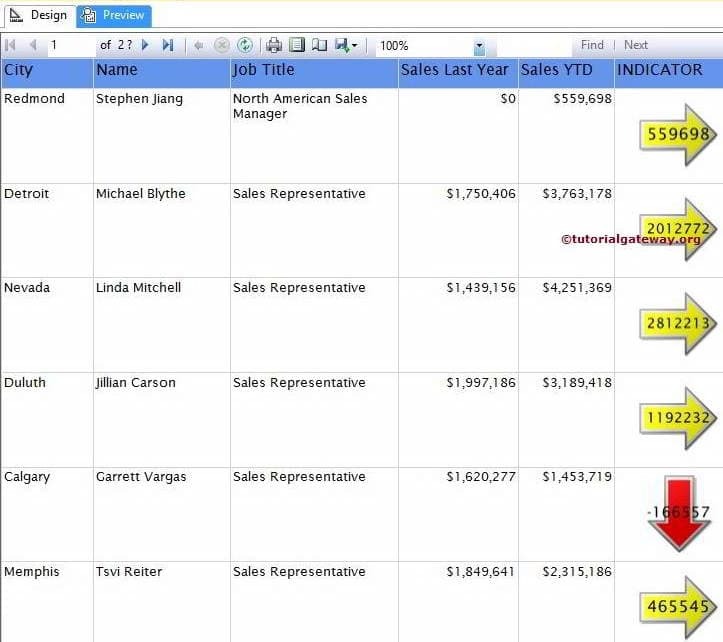 In this article, we will show you, How to Format Indicators in SSRS which includes – adding labels to indicators, change the Indicator Colors, Indicator Icons, changing the Indicators type, adding multiple indicators and adding gauges, indicators in one column in SQL Server Reporting Services with an example. To explain the available Format options, We are going to use below shown report. 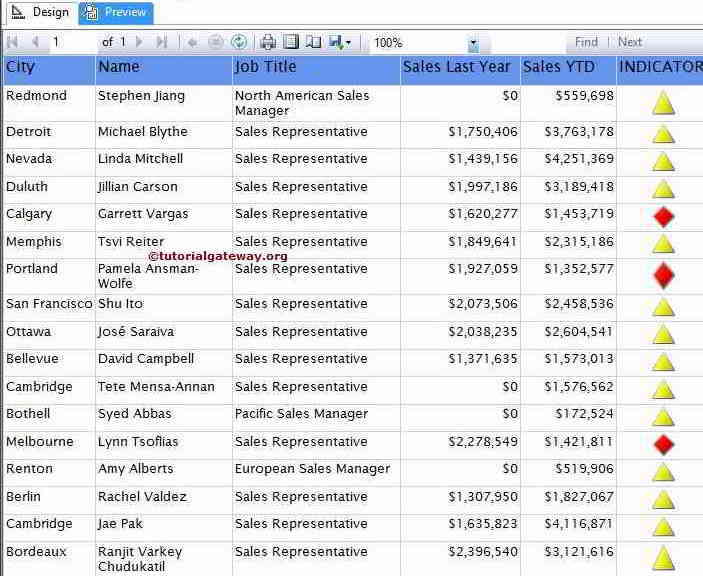 Please refer SSRS Indicators article to understand the Data Source and Dataset we used for this report. 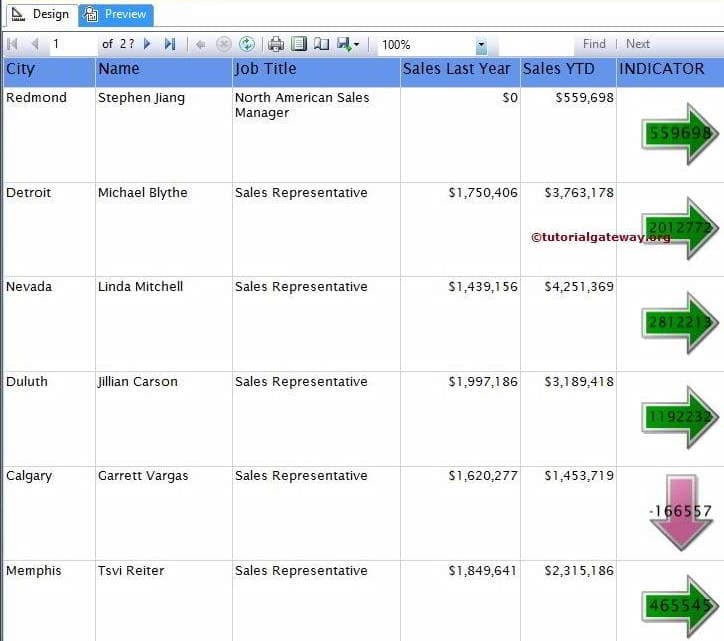 First, Right click on the Indicator and select the Add Labels option from the context menu to show the values. 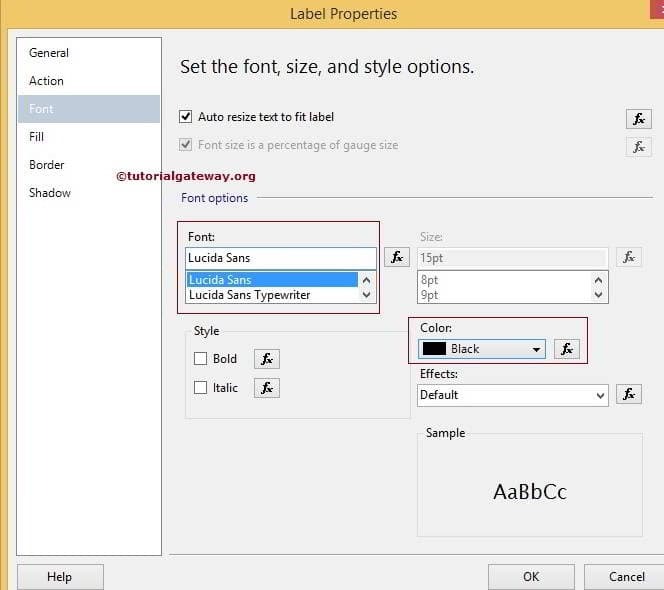 Once you click the Label Properties.. option, a new window will be opened to format the labels. From the below screenshot you can observe that By default, it is displaying Text as Label so, Please click on the fx button to write the custom expression. 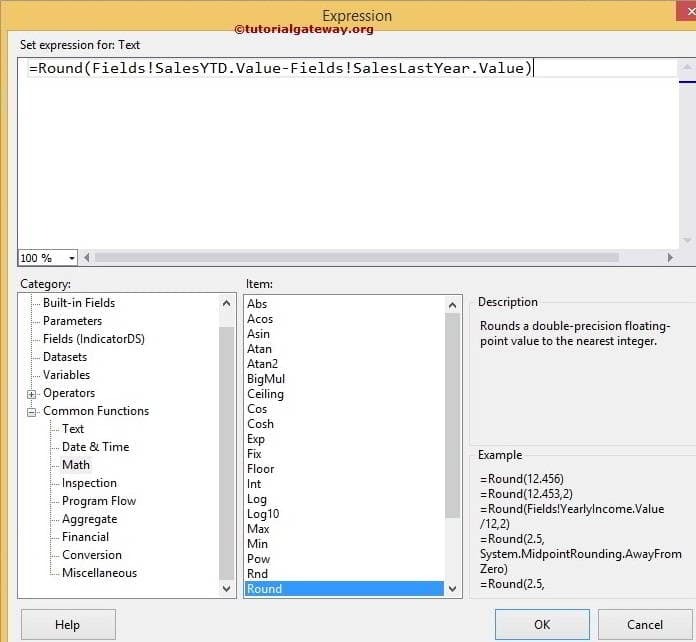 Once you click on the fx button, a new window called Expression will be opened with available functions. Here, we are displaying value as Sales of Year to Date – Sales of last year and also rounded the value using Round function. 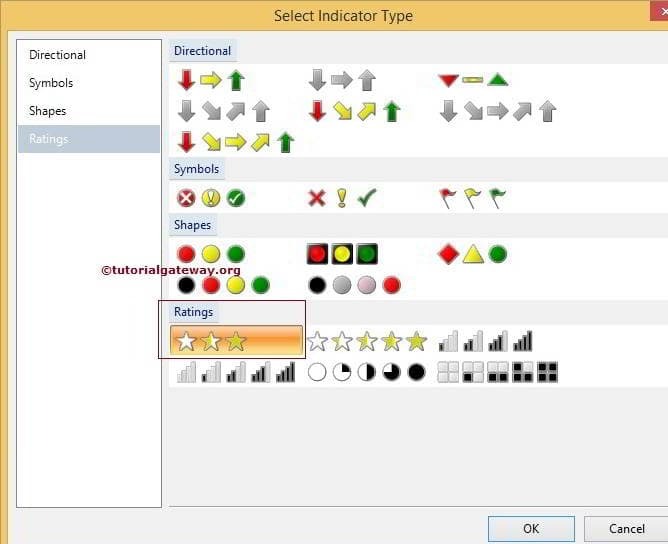 Once you select the Change Indicator Type… option, it will open a new window called Select Indicator Type will be opened to select required Indicators (Directional, Symbols, Shapes and Ratings) from the available once. In this example, we are selecting Simple Directional Indicator as shown in below screenshot. 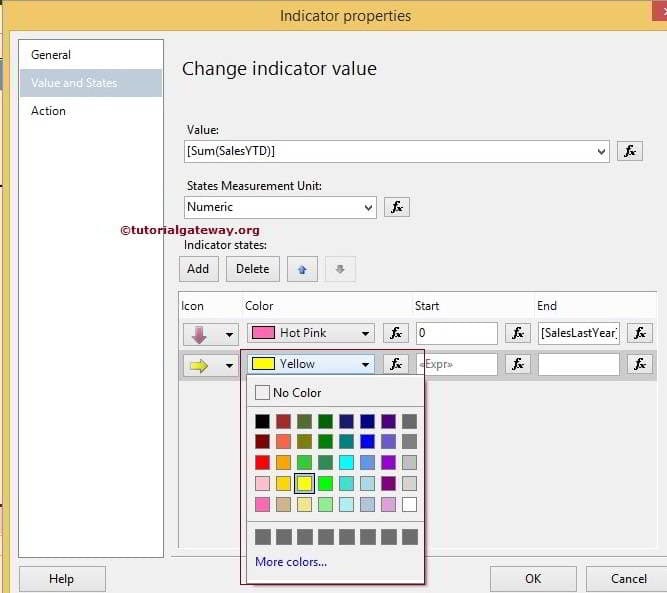 SSRS allows us to change the Indicator Icons and colours as well. For this, Right Click on the Indicator will open the context menu. 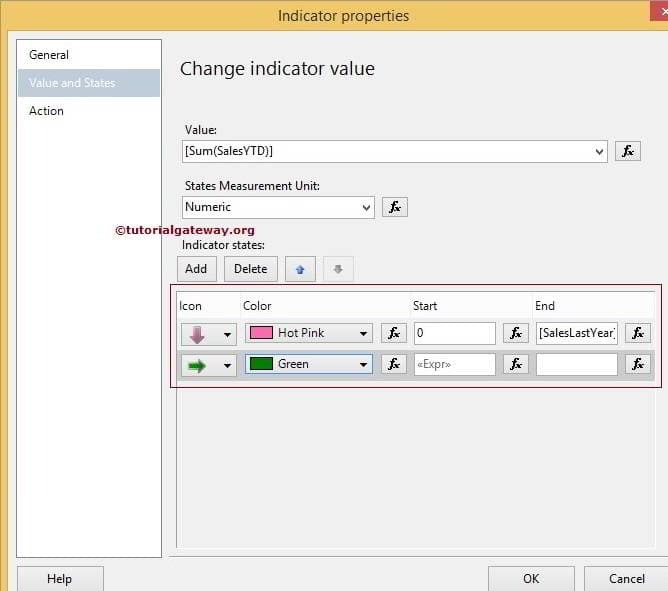 Please select the Indicator Properties option to configure the indicator values. First, go to the Values and State tab, you can notice the default Icons and colours for the indicators. Please change the Indicator Color and Indicator Icons as shown in below screenshot. 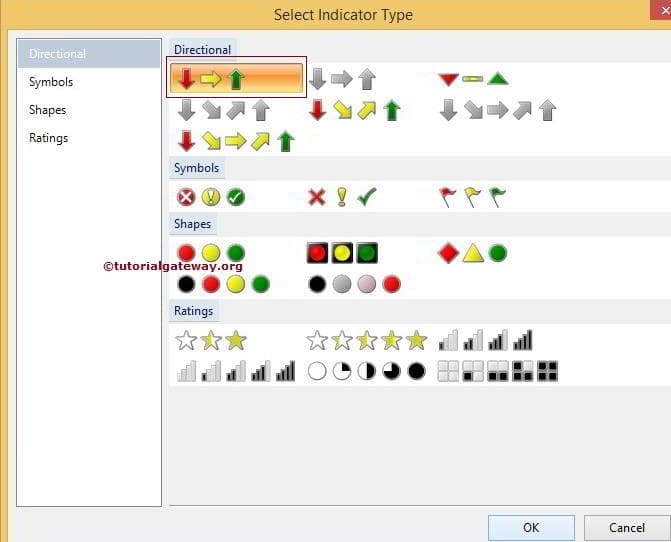 Once you select the Change Indicator Type… option, it will open a new window called Select Indicator Type will be opened to select required Indicators (Directional, Symbols, Shapes and Ratings) from the available once. In this example, we are selecting Simple Rating Indicator as shown in below screenshot.